Faith is the first smile you will see when entering our office. She assists our patients with their appointments and does a great job accommodating their busy schedules. 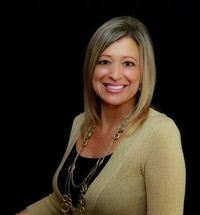 Faith has experience with both the administrative and clinical aspects of dentistry and is RDA and CPR certified as well. She continues to expand her dental knowledge by attending continuing education courses yearly. Her focus is on patient care and she loves to see the transformations made in our patient’s smiles! 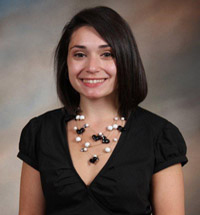 Evelyn is our Insurance Specialist and Financial Coordinator. She is also a Licensed Registered Dental Assistant and is bilingual in English and Spanish. She has a strong commitment to patient service and attention to detail. As an Insurance Coordinator, she is an expert when it comes answering any questions our patients may have regarding their dental benefits. She also thoroughly discusses treatment plans and financial options with patients. She enjoys interacting with our patients while assuring that they are completely satisfied with their dental visit. Her pleasant nature will put you at ease as she gives you the individualized attention you deserve. Dawn graduated from the Middlesex County College Dental Hygiene Program in 2001. 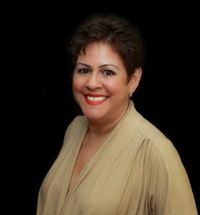 She is a member of the American Dental Hygienist Association and served as vice president/president of the Central New Jersey Dental Hygiene Association from 2002-2005. Dawn became part of the East Brunswick Family & Implant Dentistry team in 2002 and has enjoyed every moment she has been here. She has made it her goal to provide each of her patients with the personalized care they deserve. Dawn gets great pleasure when her patients come to their appointments and show her how they have improved their homecare because of what she has taught them. Dawn is known for her comforting personality that makes everyone feel like they are family. Dana was born and raised in New Jersey. She received her Bachelor of Science in Dental Hygiene from the Massachusetts College of Pharmacy and Health Sciences’ Forsyth School of Dental Hygiene in May of 2009. The next year, she joined our East Brunswick dental office as dental hygienist. She enjoys working and building relationships with our patients while also encouraging them to achieve a healthy smile that will last for a lifetime. One way she does this is through educating patients about the connection between oral and overall health. She looks forward to guiding you to reach your oral health goals. 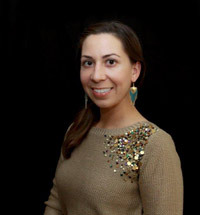 Cynthia has a Bachelor of Arts Degree from Jersey City University in Arts and Photography and is a graduate of the dental assistant program at Central Career School. She then continued her education to gain her dental radiography license and is also CPR certified. Cynthia is fluent in both English and Spanish. She joined our East Brunswick office in 2012 and enjoys working alongside a great dental team.